So what did we do to make the phone ring? First step was listing the property on Loopnet.com. This is the site for commercial properties. I used it extensively when looking for a location to expand my wife’s business. LoopNet gets 2.7 million unique visitors a month. Prices to list run from free to around $90 a month depending on the extra marketing you may want. We then created a website using the property address as the URL: www.630Hawley.com You can get a domain name for $10 through GoDaddy.com or 1and1.com and hosting for $5-$6 a month. There are a number free of tools you can use to make the pages, or you can use something like MS Word. Or just skip this all and use a free platform like WordPress.com. To promote the property and drive traffic site we sent some postcards to a bunch of people who bought similar sized properties in the area in the past two and a half years. You can get the postcards for $20-30 per 500 from places like VistaPrint.com, OvernightPrints.com or GotPrint.net. Here again you do not need anything special to do the cards. Just download a template from your printer of choice and have a go at it with Word. With postage you’re spending under $200 for a 500 piece mailing. For a few dollars a day you can use pay per click ads from places like Google Adwords, Microsoft AdCenter or some of the smaller vendors to drive targeted traffic to the site. While Adwords is a large topic, a couple of quick tips are: Geo target your ad campaign to reach only those that may be in the market for your property. Next choose keywords that you feel you would search for is you were looking for a property like the one you are trying to sell. 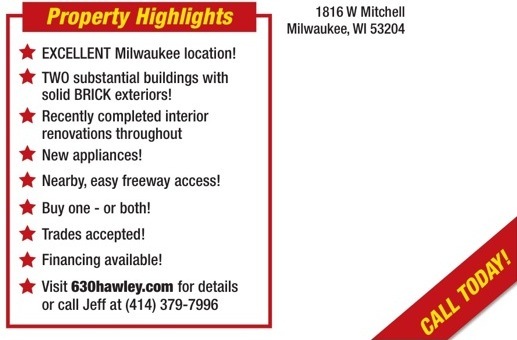 Other steps that we have not tried for this property, but I used to market a West Allis commercial property that similarly frustrated me when listing it with a broker did not generate results was to have a sign shop make some large banners or signs on Coroplast I paid $44 each for 3′ x4′ signs and $65 for 4′ x 6′ banners at Quick Signs in West Allis. On that property the signs and LoopNet listing resulted in a dozen serious inquires in a little over a month and three solid offers. So I’m interested in hearing your ideas. Nice job guys. Simple and to the point. Iliked it. 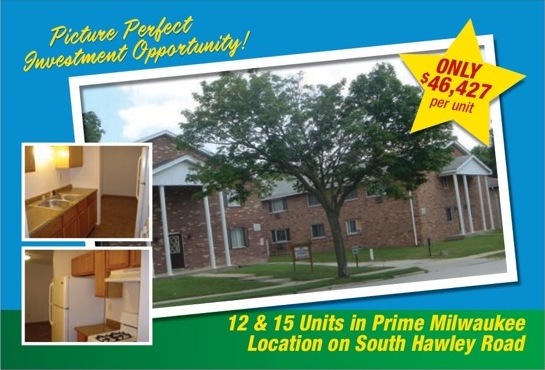 I forwarded this post to some clients of mine that are actively looking to purchase multi-unit properties. Hopefully they will give Jeff a call.